Engineers and architects have an advantage with their special skills and they build the tallest structures. Kindergartners perform better than average despite their lack of such skills. The reason is that they start prototyping to figure out what works and what doesn’t and then iterate to refine their designs. Business students have an average height that is just half of the average for all teams. They are trained to create a single right plan from which they execute. With such a strategy there is a single attempt to put the marshmallow on top of the structure right before the deadline and that attempt often fails. Teams with someone like an executive administrator, a member focused on coordinating the work of the others, improving on timing and communication, will do significantly better. When I did the challenge I was part of a team with three engineers and the company administrator. We did some up front thinking but didn’t wait long to put our ideas to the test. From there we iterated our way forward to the final structure. Need I say who won the challenge? Tom Wujec who made a TED talk on this challenge has also made some other interesting TED talks. For example Got a wicked problem? First, tell me how you make toast which is about the power of visualization, how much easier it is to understand a system if it can be represented by a drawing, and how you can create such a drawing. Looking at these presentations made think about VHDL testbench design. Rather than a number of team members cooperating on a spaghetti tower we have a number of concurrent processes cooperating around the verification of a piece of VHDL code. With several processes (or other concurrent statements) spread across your source file(s) the intent of the testbench is hard to grasp unless you have one process that coordinates the others. That process is the executive administrator of the team and the “drawing” visualizing the big picture for what the testbench does. It’s not common that two team members reach for the same stick of spaghetti and break it. We instinctively pull back to handle this race condition. It’s not likely that a team comes to deadlock indefinitely because one member is sitting with the string waiting for the tape while the member holding the tape sits waiting for the string. If one member is producing triangular building blocks for the other members to assemble into the larger structure and he/she completes a new triangle before the previous has been used, it is not likely that the new triangle is lost. In programming this producer-consumer problem must be handled explicitly. It has been showed that we can make the code less error-prone if we use standard synchronization mechanism rather than low-level ad hoc solutions. The message passing mechanism provided with VUnit is an example of the former while plain VHDL often becomes an example of the latter. For example, below are the cores of two processes which communicate with each other using plain VHDL. The main process provides the streaming input characters to a Caesar encryption device using the encrypt procedure while the encrypted_symbol_monitor process verifies the output stream using the verify_encrypted_sentence procedure. As you can see there are a lot of different wait statements and special signalling to make this work. A slight mistake and we will encounter both race conditions, deadlocks, and the producer-consumer problem and these problems will only get worse if more processes are introduced. Message passing on the other hand removes the error-prone details by using the asynchronous send and the blocking receive procedures. One procedure call in each process takes care of both the information transfer and the synchronization. In the coming chapters I will present in more detail the example encryption device, what problems you may encounter when verifying such a device using plain VHDL, how VUnit message passing works, and how it improves the situation. 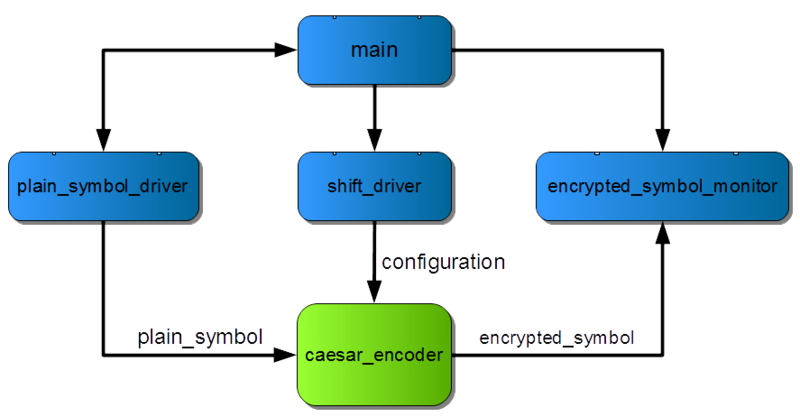 The figure below shows the Caesar encryption device which takes plaintext symbols on the input while concurrently generating the encrypted output. The device uses the Caesar cipher which substitutes every input letter with the letter a fix number of positions down the alphabet. This shift value equals 1 in my example so that a is encrypted to b, b is encrypted to c and so on. The latency is three clock cycles. To verify this device I would ideally have a single process testbench where pin wiggling interface details are encapsulated in convenience procedures. That approach would result in something like the code below where I have a function to generate a random sentence, encrypt to apply that sentence on the input, and verify_encrypted_sentence to verify the correct behaviour of the output. I’m not saying that throwing ten random sentences at this design is an ideal way to reach functional coverage, the approach is just a simple way of representing a testbench in which verification is based on a set of input vectors. What I’m saying is that the testbench is very readable and clear about its intent. I create a random sentence, encrypt the sentence, verify the encrypted output, and repeat this ten times. This is the “drawing” I described earlier. the testbench will fail on "abcd" since the first encrypted output letter appears before the encrypt procedure had time to apply the complete sentence. verify_encrypted_sentence will not see the first output letter and report an error. The common solution to this is to split the testbench into several concurrent processes, one for each interface. So let’s do that and move verify_encrypted_sentence to its own encrypted_symbol_monitor process. There are several ways to do this but an example is given below. This is the error-prone example I showed earlier. What would happen if I didn’t have the ready_to_verify signalling? If I forgot waiting for 0 ns? If I didn’t include the transaction attribute on the right-hand wait statement? Despite the efforts the testbench is still lacking important abilities. For example, the producer-consumer problem we may experience is because encrypted_symbol_monitor can only consume one sentence at a time. If we didn’t have the ready_to_verify signal main would produce a new sentence before verify_encrypted_sentence has verified the previous. The new sentence is missed by encrypted_symbol_monitor since it isn’t at the wait statement ready to receive it. The ready_to_verify solution prevents this by having main wait for verify_encrypted_sentence to complete but it also means that two sentences are separated by four clock cycles, as shown in the figure below, and we never verify the situation in the hello world example shown previously where the sentences are separated with a single clock cycle. To address this we need a queue between main and encrypted_symbol_monitor where new sentences can wait while previous sentences are being verified. main can now pass information to encrypted_symbol_monitor without waiting for it to be ready. This is known as asynchronous message passing. If we can package the concept of message passing into a higher level synchronization primitive we do not only solve our problem but we also remove the low-level details of our ad hoc solution which reduces the risk of bugs. The VUnit test framework includes a com package providing such a message passing mechanism. The abstraction used is that we have actors (from the actor model) which communicates with each other using messages sent over an abstract communication medium called the net. The code below shows how the encrypted_symbol_monitor process makes use of the message passing mechanism. It creates an actor for itself by calling create with the name for that actor. create returns a reference to the actor which I assigned to a process local constant self. That reference is then used in subsequent calls related to the message passing mechanism. For example, the core of the process starts by blocking at the receive procedure waiting for a message to be sent over the net to this actor. The payload of that message is the sentence we want to verify. The updated code for the main process finds the reference to the encrypted_symbol_monitor actor by using its name. That reference is used as the receiver when sending a message containing the newly created sentence. The send call doesn’t consume physical time, only delta cycles. 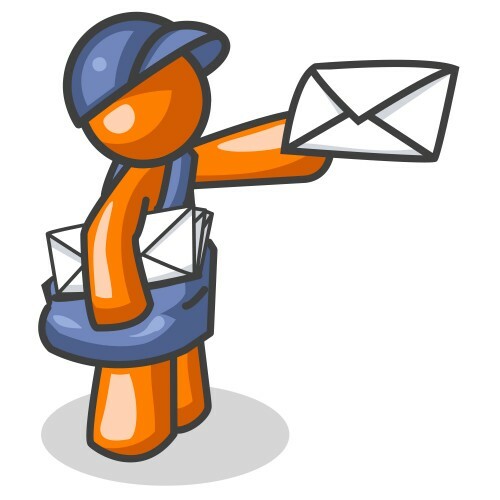 The message produced by the sender is placed in a queue until the receiver is ready to consume it. The create, find, send, and receive subprograms are taken directly from the com package so there is no need for any additional code to make this work. The producer-consumer problem is solved and sentences can be encrypted back-to-back. The error-prone low-level VHDL code is removed. Isn’t there a race condition if the call to find is made before the actor is created with create? No, the com package will handle this as described in the user guide. I’ve created two references to the same actor (the self and encrypted_symbol_monitor constants) instead of using a global reference. The reason is that it makes me indifferent to the location of the referenced actor. If I want to make a component out of the encrypted_symbol_monitor process such that it can be reused in other testbenches I would have to make a global reference visible to several source files, for example by putting the reference in a package used by relevant source files. This would get me involved in the transport of information between sender and receiver and I would like to avoid that for the reason mentioned. Compare this to the original plain VHDL encrypted_symbol_monitor process. If I wanted to move that into a separate component I would be responsible for all involved signals and ports and the routing in between. I didn’t create an actor for the main process. It’s not necessary when I’m not sending messages in that direction. In this case each actor represents a process but it’s is not limited to that. For example, if you want a process with several communication channels with different priorities you can let an actor represent a channel. The com implementation has many variables but only one signal, net, while the typical ad hoc implementation has more. As a result the com-based solution simulates faster. What I presented so far is the basic functionality for the com package. A description of all features can be found in the user guide but I’ll give a few more examples by adding some extra functionality to the testbench. So far I’ve used a Caesar cipher with the shift value set to one such that the input letter is substituted with the next in the alphabet. This value can be reconfigured at any time using a configuration port but it will not affect the currently encrypted sentence, if any. The next sentence is the first to be encrypted using the new value. To test this I will configure the device with a random shift value at a random point while a sentence is being encrypted. I will also randomize the delay between sentences. The configuration of the shift value is a new concurrent behaviour so I’ll drive the configuration port of the device from a dedicated shift_driver process. The encrypted_symbol_monitor process will remain. To refine this design pattern I will also have a dedicated plain_symbol_driver process to drive the symbol input. main is still the entry point for understanding the testbench as it will continue to coordinate the actions of the others. Tell the plain_symbol_driver process to start encrypting the sentence. Tell the encrypted_symbol_monitor process to start verifying the output given the random sentence. Randomize a new shift value between, let’s say, 0 and 10. 0 is the equivalent of disabling encryption. Randomize a delay no longer than the time it takes to input the sentence to encrypt. This is the number of symbols in the sentence times the clock period. Tell the shift_driver process to set the new shift value after the given delay. encrypted_symbol_monitor will also need to know the new shift value to verify the next encrypted output. Wait for the plain_symbol_driver process to apply the full sentence. This is what that code would look like. Let me explain this line by line. A random sentence is created as before. Compared to the send call showed previously the first of these calls also includes self, the sending actor, as a parameter. This enables the receiving actor to reply back to the sender without any prior knowledge of who the sender is. This is something I will use later on. The payload is also different from what I’ve showed before. Instead of the plain sentence I use a function call start_encrypting(sentence) which will return a string. Fact is that the com package can only send and receive string messages so passing information “as is” like has been done with the sentences so far is actually a rare exception. As soon as I want to pass information of a type other than string I have to encode that information to a string before sending and then decode the string back to the original type on the receiving side. The com package provides encode and decode functions for around 25 native VHDL and standard IEEE types but can also generate encode and decode functions for your custom types. In this case I want to send a record of type sentence_msg_t. This record contains the sentence to verify and also a msg_type element which works as a command telling the receiver what to do with the sentence. msg_type is of an enumerated type which, in this case, has two defined values, start_encrypting and start_verifying. These types are defined in a package msg_types_pkg which can be parsed by a Python module shipped along with the com package. This module can be used directly but is also integrated into VUnit such that you can add the following lines to your VUnit run script. The first line will find the msg_types_pkg package which is compiled into the tb_lib library. The second line will generate encode/decode functions and some other support functions for the types in msg_types_pkg and place them into a package msg_codecs_pkg. This package is also compiled into tb_lib and can be used in your testbench like this. The provided encode functions can now be used to generate strings from your custom types such that they can be passed as messages. For example, the code below makes a string out of the my_pkg variable which is of type sentence_msg_t. Since record types beginning with an element of an enumerated type are so common for messages a number of special encode functions are generated. These are named after the values of the enumerated type and have the other record elements as parameters. The code below will do the same thing as the code above. I didn’t have to use this feature for the first send call to plain_symbol_driver, I could have sent my sentence directly as before. However, it makes the code more readable and I have to use this feature for the second send call to encrypted_symbol_monitor anyway. I will explain why shortly. Encoding all types into strings raises the issue of type safety. However, with records containing a msg_type we have the ability to do dynamic type checking to keep the code type safe. The description for line 7 will show how. After the two send calls I generate a random value for the shift and a random delay for when the new shift is to be applied. rv is a random variable of a protected type for which a number of randomization methods are defined. I’m using RandInt and RandTime for generating a random integer and a random time, respectively. The randomization functionality is provided by OSVVM which is redistributed with VUnit. My sentence string has a fix length such that it can be part of my message record so the variable length of the actual sentence is achieved by terminating that string with the NUL character. find is a function provided by the VUnit string_ops package and can be used to find the position of the first NUL character and calculate the length of the sentence. Multiplying this with the clock period gives the time it takes to encrypt the sentence and thus the range within which I want to apply the new shift value. Line 7 is used to send the randomized shift and delay values to the shift_driver process using set_shift_after_delay which is another encoding function generated from a record type. However, encrypted_symbol_monitor will also need the new shift value to verify the output correctly so rather than sending a dedicated message to each of the two processes I use publish which will send a message to every actor that is subscribing to messages from the main actor. This is known as the publish-subscribe pattern. Let’s have a look at the encrypted_symbol_monitor code. 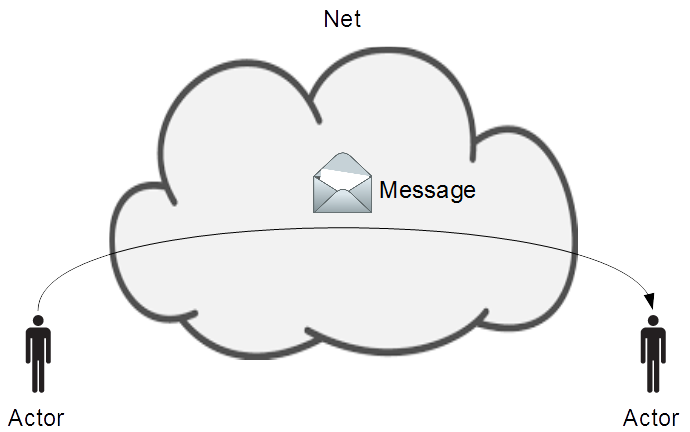 The first line makes the process subscribe to all messages published by main, messages sent by main are only received by the targeted receivers. The process then goes into to a loop triggered by the reception of a message. The reason for not sending the sentence directly to this process but rather use a record-based message is that it will receive messages of different types. When all these messages are using the record style presented it is possible to figure out the correct type using the generated get_msg_type function and then in the case statement decode to the correct record. Trying to decode to another record type would cause a run-time error so the code is type safe. For example, if the message type is start_verifying then I know that the message is based on the sentence_msg_t record. The sentence_msg variable has this type so the correct decode function will be called. I then take the sentence from the message and feed that to the verify_encrypted_sentence procedure which has been updated to also take the shift value as an input. The shift variable is updated by the set_shift_after_delay command messages in the second alternative of the case statement. An actor that you subscribe to may publish things that you’re not interested in so receiving other types of messages can in general be expected and I’m simply ignoring such messages with the others alternative. Using these record-based messages makes the “slave” processes very clean and readable and the code generation for encode and decode functions makes it effortless to add, remove, and modify messages as you refine your testbench. Just update your data types and execute your VUnit run script. New codecs will be generated and affected code will be recompiled. The last two lines are used to create a random delay between sentences applied to the input. I could have done that by passing such a delay as an extra parameter in the start_encryption command like I did for the set_shift_after_delay command but to show some of the synchronization features of the com package I will use another approach. Await the completion of a sentence in plain_symbol_driver. Wait for a random delay. This is an example of the request-reply pattern. receive_reply will wait for the completion acknowledge to the start_encrypting command (the request) sent to plain_symbol_driver. That send call returned a receipt, plain_symbol_driver_receipt, which, among other things, contains a unique id for that command message. Feeding that id to the receive_reply procedure means that it will wait for a reply for that specific message. Other types of messages and messages of the correct type but replies to other requests (out-of-order execution) will be ignored , but not deleted, until the specified reply is received. A reply can be a message of any type but often it’s just a positive or negative acknowledge of a command which is the case here. For that case there is a dedicated receive_reply procedure which returns a boolean value which I assigned to the sentence_is_encrypted variable. I’m not checking the value of sentence_is_encrypted because it will always be a positive acknowledge (true). Here is the code for the plain_symbol_driver process. The acknowledge procedure is responsible for sending the positive (the true parameter) acknowledge message back to the sender of the incoming message (message.sender), that is the main process. The message.id parameter specifies what message this is a reply to and this is the same id that the receive_reply procedure in main is waiting for. Note that the process has the same clean structure as encrypted_symbol_monitor. Finally, in line 9, I create the random delay before starting with the next sentence in a new loop iteration. A high-level abstraction of communication and synchronization makes the code less error-prone and more readable. The structure also scale well with increased DUT complexity. A central controlling process makes the testbench intent more clear. Hiding/automating everything but what information to exchange and with whom means that the work for the user is kept to a minimum. The simplicity in adding/deleting/modifying messages and actors encourages iterative testbench development. Message passing comes with a number of well-established design patterns to cover common use cases. Com has built-in support for simple ones like the command pattern but also more advanced patterns like request-reply with out-of-order execution. Information can be logically organized into multiple message types which can be handled by the same actor (communication channel) while still maintaining type safety. There is no need to dedicate an actor/channel for each message type or dump all information into one big message type. With only one signal the message passing mechanism is fast. What have been described here covers many of the com feature, but not all. For more information you can read the com user guide.